SYDNEY has moved swiftly to lock down early draft pick Nick Blakey, giving the exciting youngster a two-year contract extension before he has made his AFL debut. 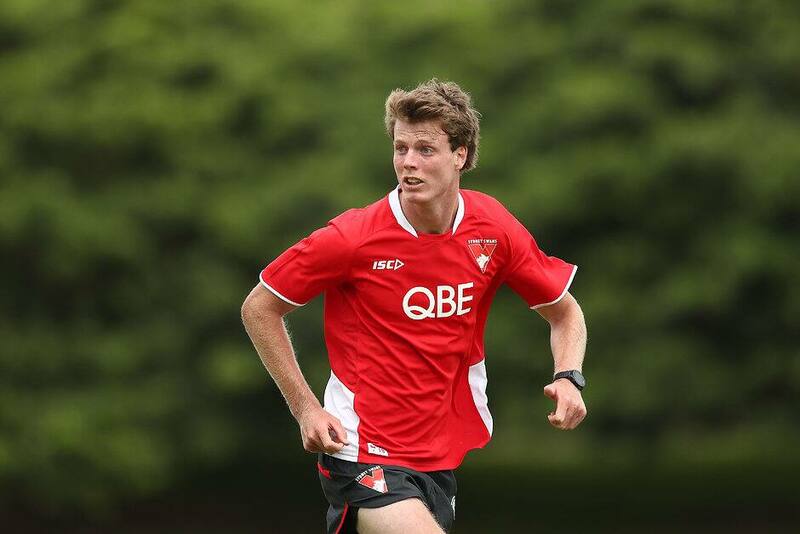 Blakey joined the Swans at last year's NAB AFL Draft as an Academy selection after the club matched Greater Western Sydney's bid for him at pick 10. AFL.com.au understands the son of Swans assistant coach John Blakey has agreed to a new deal tying him to the club until at least the end of 2022. Players picked in the national draft get a mandatory two-year contract, with the Swans extending that by an extra two years. The club has done similar in previous years with early picks Isaac Heeney and Callum Mills, also products of Sydney's Academy. Blakey, 18, had the option of joining North Melbourne or Brisbane as a father-son pick last year, given John's illustrious career across both clubs, but opted to nominate the Swans, where he was eligible having lived in its Academy zone for more than five years. The 195cm prospect has endured several injuries in recent years, including back stress fractures in 2017 before illness and then an ankle injury in the latter stages of 2018 interrupted his campaign. The agile and smart left-footer has shown he can be a dangerous option in attack as well as also moving through the midfield at stages.